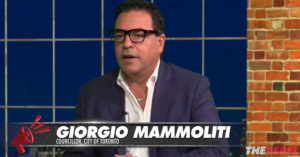 Mammoiliti made an in-studio appearance on Ezra Levant’s far-right Rebel Media Friday night and shared some locker room talk about Keesmaat – Toronto’s former Chief Planner and the top challenger facing off against incumbent Mayor John Tory in October’s municipal election. “Good looking lady, for sure,” Mammoliti conceded. “I’m glad that in the ‘Me Too’ era you’re not playing any favourites,” Menzies added. Although Mammoliti dismisses her as a “good looking lady,” Keesmaat does bring decades of experience as an award-winning urban planner to her mayoral candidacy, working on projects around the world and overseeing a dozen master planning initiatives in Canadian cities, including Toronto, Vancouver and Halifax. Between 2012 and 2017, Keesmaat served as Chief Planner for the City of Toronto, a position that provides expert planning advice to City Council on policies relating to land use, environmental sustainability, community development, urban design and transportation. 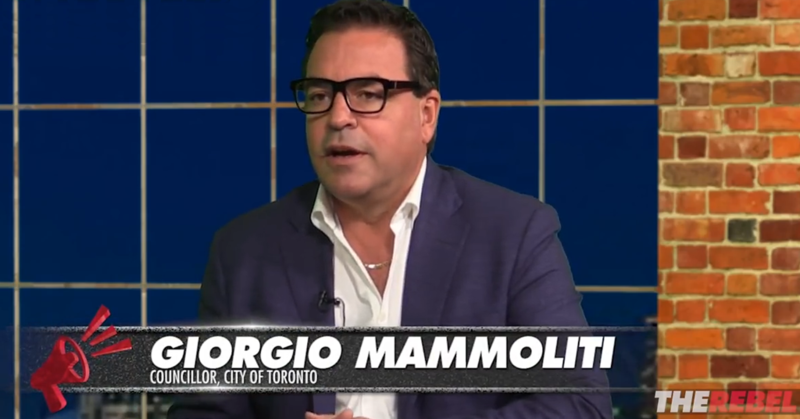 Mammoliti’s appearance on Rebel Media comes nearly one year after the far-right website suffered a meltdown after mingling with the alt-right at last summer’s deadly white supremacist rally in Charlottesville, Virginia. Rebel Media’s David Menzies more recently co-hosted a podcast with a man charged with hate crimes following a police investigation into incidents targeting Muslims, including young school children. 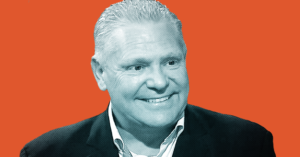 Ontario Premier Doug Ford says he’s going to lower the price of beer to one dollar, but nearly everyone agrees that will probably never happen. As Ontario’s working families struggle with real problems like housing affordability, prescription drug prices or long commutes to work, Ford’s $1 beer plan might not seem very meaningful at first. But on second glance, Ford’s $1 beer plan is even more meaningless than you think.